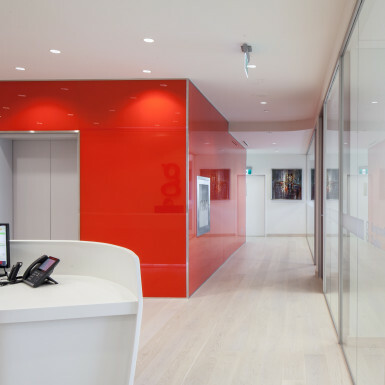 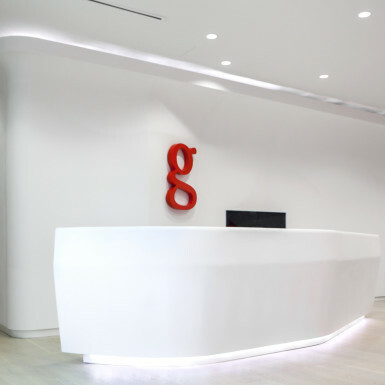 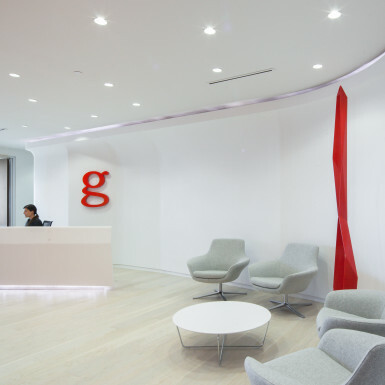 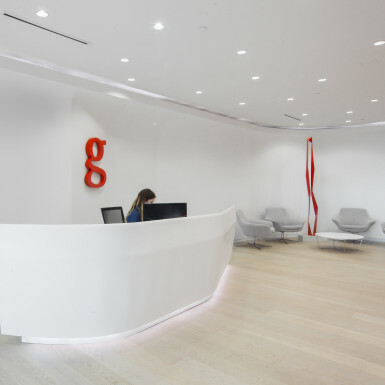 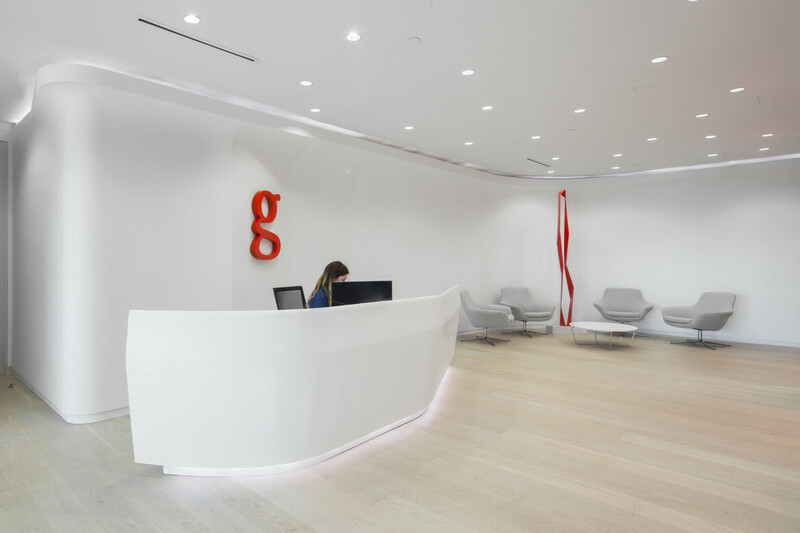 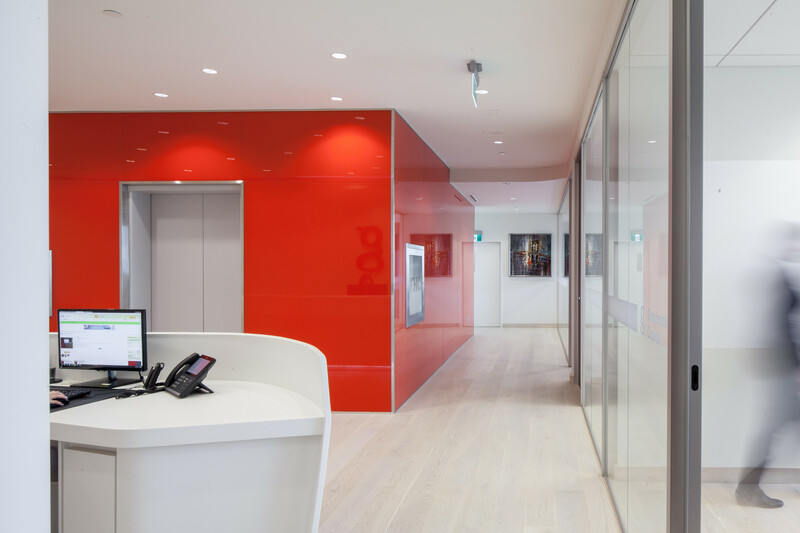 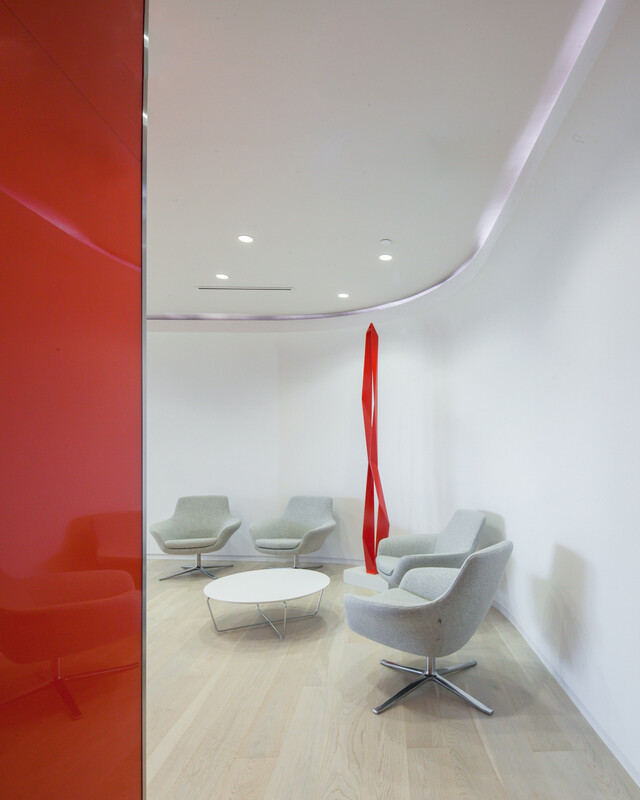 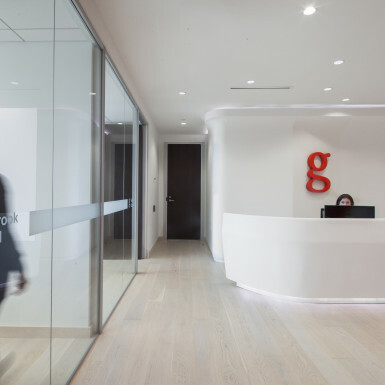 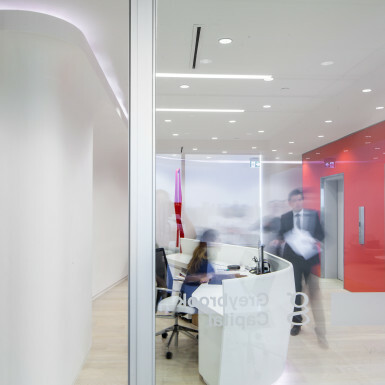 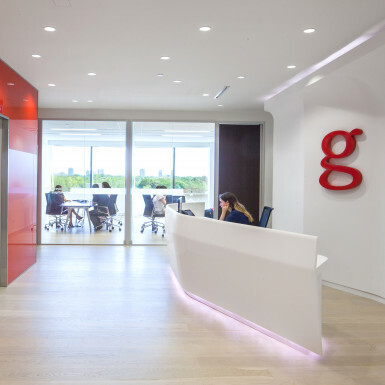 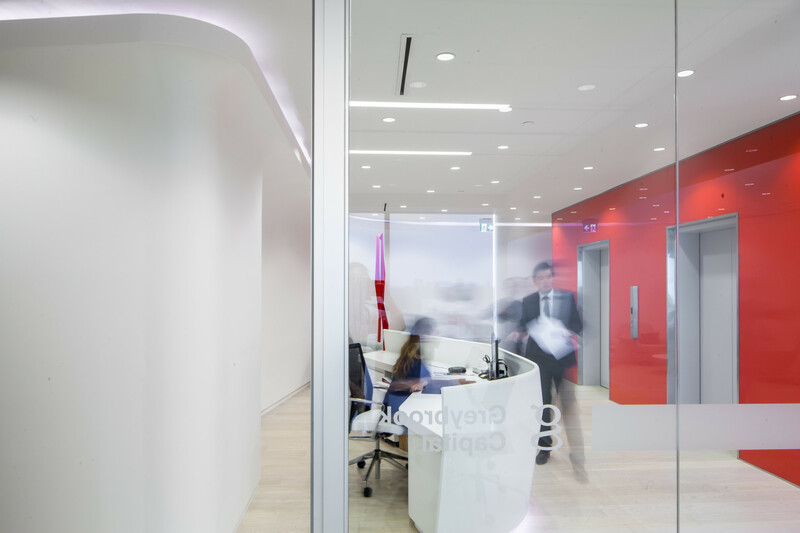 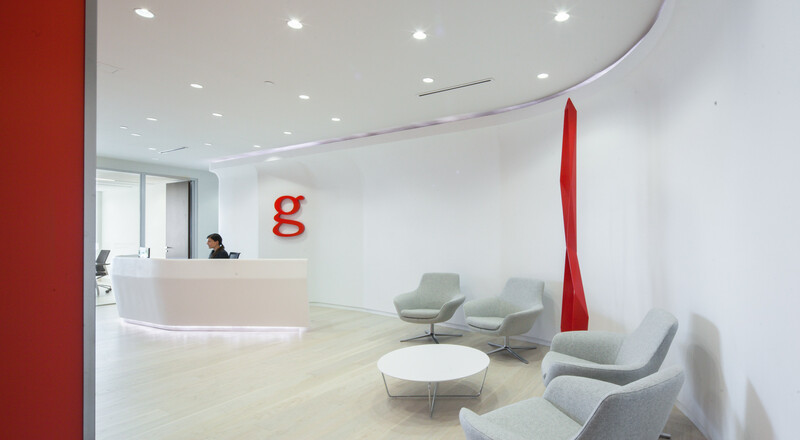 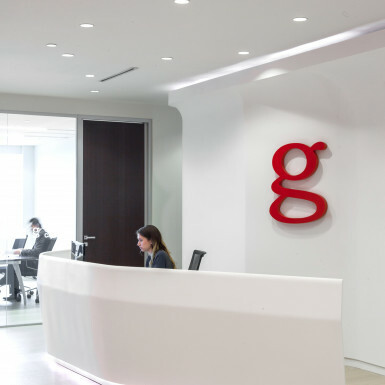 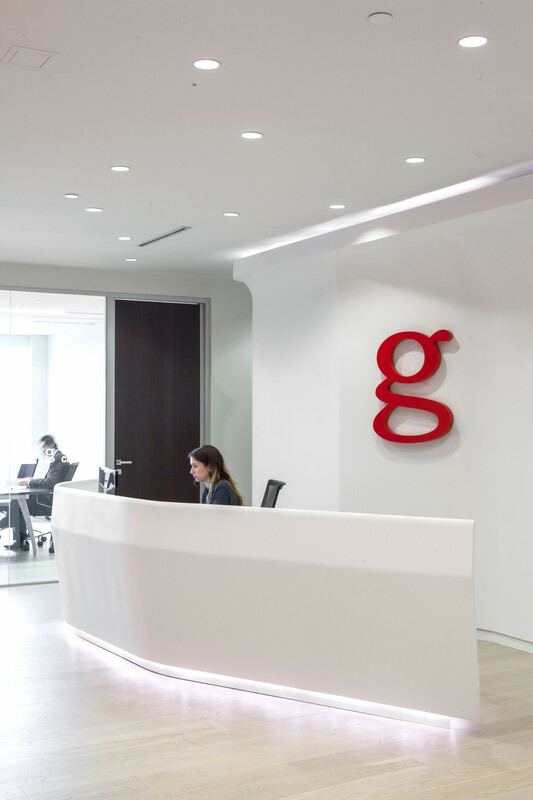 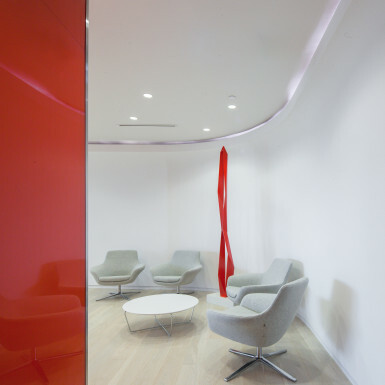 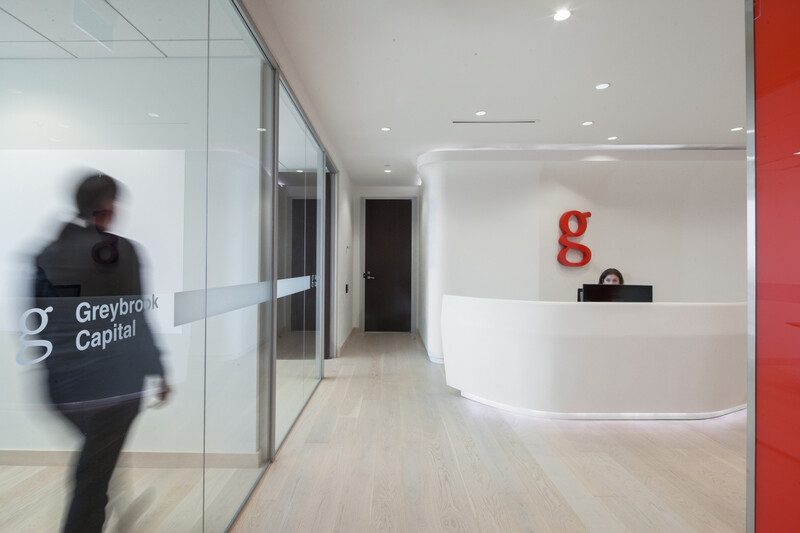 Teeple Architects were retained to create the new offices of Greybrook Capital, a leading Canadian private equity firm. 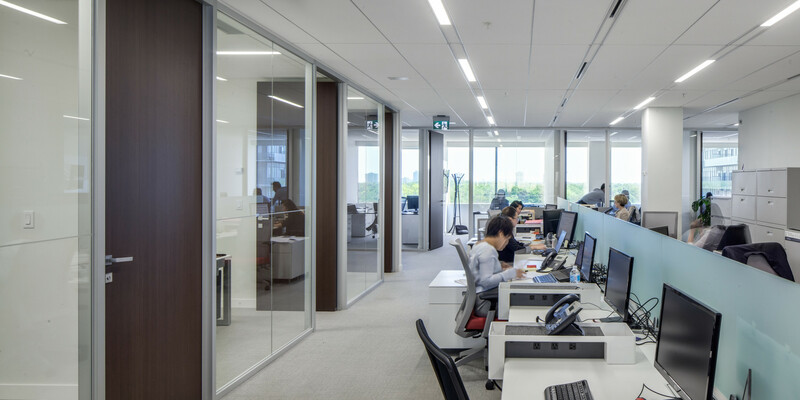 The deceptively simple spatial concept concentrated on providing a modern public face for the company, centered on a carefully crafted central reception area and a focus on transparency that maximizes natural light and views to the city for clients and surrounding office and team work areas. 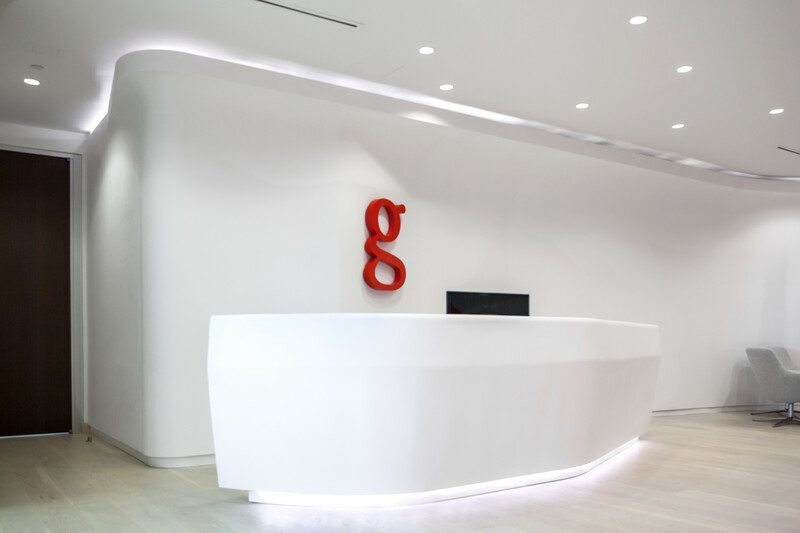 The reception area features custom fabricated curvilinear partitions and reception desk, evocative of the dynamic and fast-paced yet solid ethos of the company. 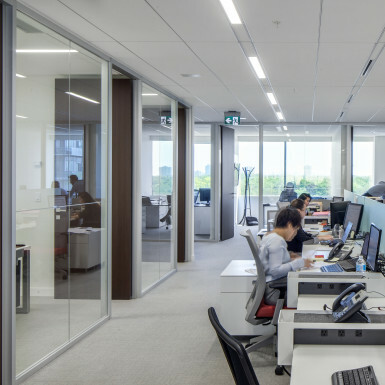 A stripped down colour palette reinforces the Greybrook brand, while subtle features such as wood grain flooring and soft textiles create a welcoming atmosphere for clients. 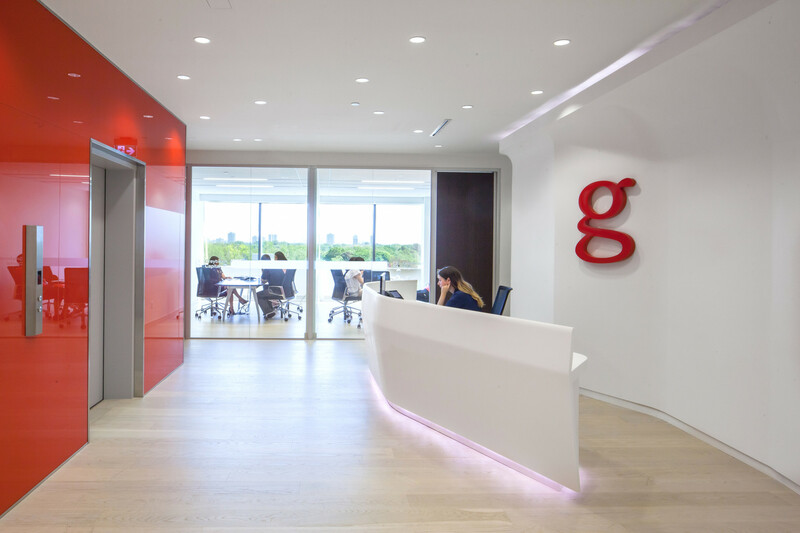 The project involved the design of custom millwork, selection of furniture and equipment, and exacting interior finishes detailing.